Come and discover the neighbourhood of Residensi Suria Pantai and learn about the life, malls, and people in the area. Find out more about the schools and properties that are available in the area. Browse through our superb properties For Sale in Residensi Suria Pantai. Browse through our superb properties For Rent in Residensi Suria Pantai. Suria Pantai, calling to mind visions of a sunny beach, offers home seekers a break from the property market’s current emphasis on higher-end homes, or affordable homes in out-of-reach locations. Sited centrally between Kuala Lumpur, Bangsar, Cheras, Sri Petaling and Petaling Jaya, the development is well-suited for purchasers who are in love with Klang Valley’s metropolitan lifestyle and pace, but want to distance themselves from the worst of inner-city traffic congestion. And while real estate’s core premise – location, location, location – often comes with a hefty price tag, Suria Pantai, as the Federal Territories Affordable Housing Project (Rumawip) component of developer IJM Land Bhd’s larger Pantai Sentral Park township, comes with a price tag perfect for younger and first-time purchasers. 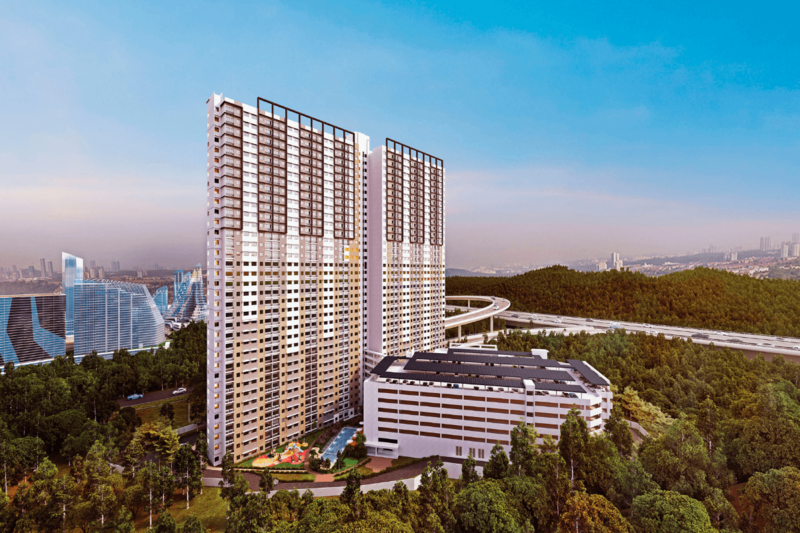 With launch prices of RM275,000 per unit, the project offers 896 leasehold residential units in a single 34-storey block. As with many affordable housing programmes, it features a single layout, with three bedrooms and two bathrooms and a built-up area of 810 sq ft.
Coming to about RM340 psf, this places Suria Pantai within the affordable segment of the property market, despite its prime location next to the increasingly upscale Bangsar South enclave and its host of amenities, along with the pull factors of more developed districts surrounding the project. These include no less than three major retail attractions in the area, from Nexus, Bangsar South’s lifestyle and events hub, to the more sedate KL Gateway with its complementary retail tenant mix. In addition, Mid Valley City, made up of Mid Valley Megamall and The Gardens Mall, is less than 5km away via Old Klang Road. Aside from its central location, Suria Pantai’s appeal lies in its connectivity as well, with convenient access to major routes such as the Federal Highway, New Pantai Expressway (NPE), Kerinchi Link and the East-West Link Expressway (Salak). IJM Land has also built a RM98-mil interchange comprising three ramps with a total length of 2.8km to facilitate entry and exit to Pantai Sentral Park from the NPE, benefiting not just Suria Pantai residents but those from the nearby township and surrounding area as well. Internally, the project features a basic range of amenities including a swimming pool, playground and multipurpose hall. Meanwhile, those with active lifestyles can head to the 200-acre Bukit Kerinchi Forest Park nearby, which also provides connectivity to Bukit Gasing and its hiking trails. One thing prospective purchasers should keep in mind is the area’s roots as a squatter settlement and subsequent focus on police housing projects. These factors have led to the distinct character of Pantai Dalam today, with low-cost housing co-existing next to luxury developments. Suria Pantai is being developed in partnership with Amona Development Sdn Bhd, the property and construction arm of the Amona Group of Companies. Through the arrangement, Amona Development serves as the landowner for Suria Pantai as well as Pantai Sentral Park as a whole, with IJM Land unlocking its value through development. As a Rumawip initiative, eligible purchasers for Suria Pantai include single individuals with monthly incomes under RM10,000, as well as those with combined monthly incomes up to RM15,000. As of January 2019, Suria Pantai has registered a take-up rate of 75%. With PropSocial, everyone can now find their dream home. Looking to buy, sell or rent a home of Residensi Suria Pantai? Fill in your details and we will get right back to you!